Trainer Tony McEvoy has unveiled another nice two-year-old with She Shao Fly winning at Sandown. 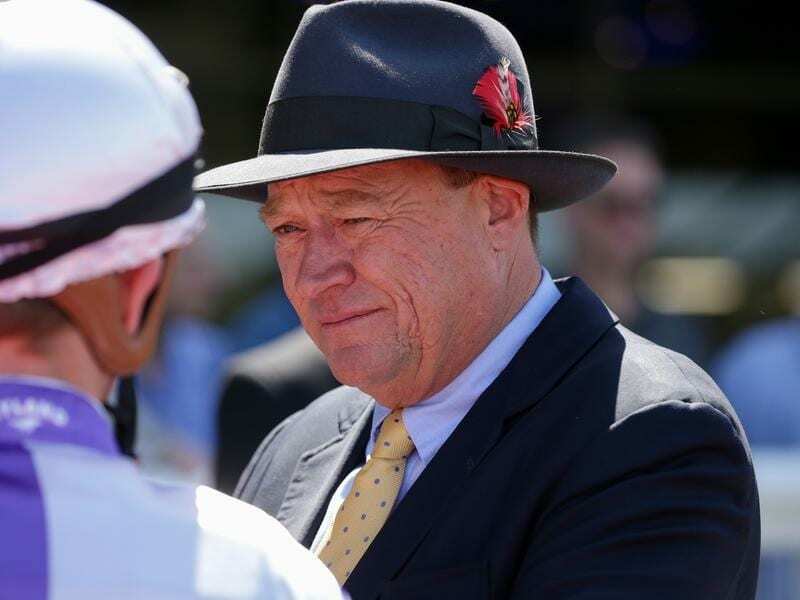 The Tony McEvoy-trained She Shao Fly ($9) chased down favourite Lady Naturaliste ($3.40) to get home by a half-neck in Monday’s Ladbrokes Plate (1200m) for two-year-old fillies, opening up bigger race options in the coming weeks. “She has really jumped out of the ground in the past 10 days since we put the blinkers on her,” McEvoy’s stable representative Michael Shepherdson said. She Shao Fly finished seventh of eight in a Pakenham barrier trial on January 15 before winning a trial in blinkers at Werribee last week. With Luke Currie aboard, She Shao Fly was slightly slow out of the gates and was back in the field before improving near the home turn. As a big group of the filly’s owners cheered from the stand, She Shao Fly reeled in Lady Naturaliste with debutante Fling ($4.40) another two lengths away third. “In her trial at Pakenham, she was only there for an easy one but she only trialled fairly,” Shepherdson said. “Tony then put a set of blinkers on and since then she’s just changed. “They are a good tool when they work. “She improved into her trial at Werribee and now she’s improved again to today. She Shao Fly is among the McEvoy stable’s nominations for the Blue Diamond on February 23, with third declarations closing on Tuesday. Currie said She Shao Fly was not up with the better juveniles this season yet, but said the filly was continuing to improve.